The newest edition to our Self Regulating Heat Tape for preventing Ice Dams is our Heat Tape Pro XL line. 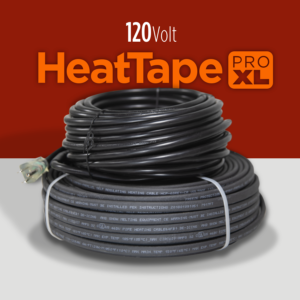 Radiant solutions has always offering ice dam heat tape with cold leads longer than other heat tape manufacturers, but we’ve completely blown that standard away with our XL Heat Tape. 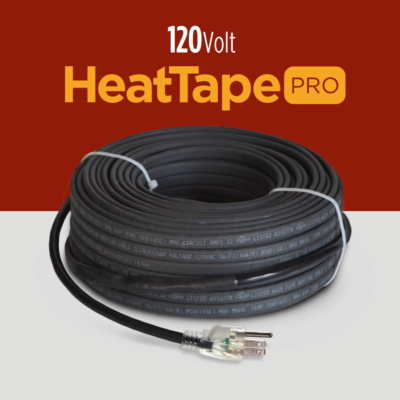 The idea for the Heat Tape Pro XL line came from a simple problem: many customers don’t have an outlet/junction box under their eave to plug in their Heat Tape. Since plugging your heat tape into an extension cord is not recommended, there were situations where heat cable installation required an electrician to install power to a spot where the cable can be plugged in. Heat Tape Pro XL solves this problem by giving you and Extra-Long cold lead (50 Feet) that you can use to reach an outlet that is a distance away from your installation. The result saves customers the hassle and cost of hiring an electrician, while delivering our best-in-class Ice Dam Roof Protection.